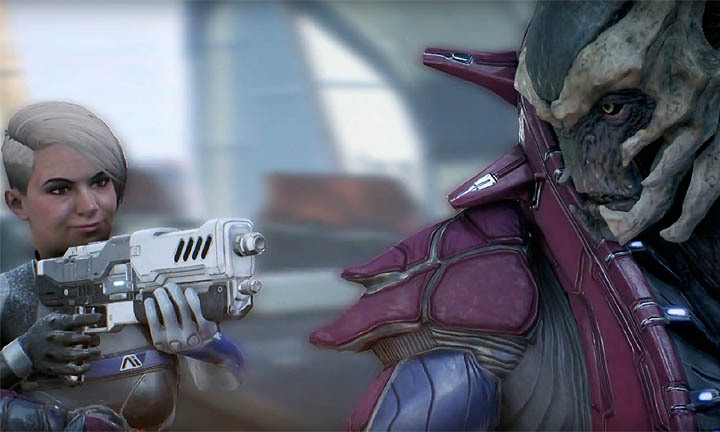 A complete guide to all of the Remnant Decryption Puzzle Solutions in Mass Effect Andromeda. 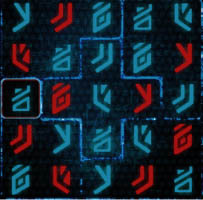 This guide will save you hours of pain as you try and solve these sudoku style mini-puzzles to access restricted areas and the games Vaults. 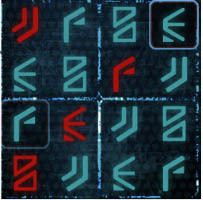 Thankfully, these puzzles are static and the same solution can be used on any playthrough - they are not randomized and once you know the solution it's just a case of selecting the right glyphs and the puzzle will be solved in seconds rather than many minutes. 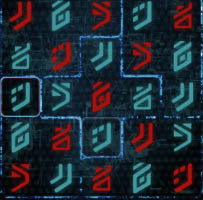 In total there are 19 decryption puzzles in the game, each one with a different solution. 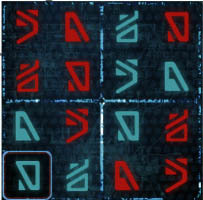 There are puzzles for Eos, Havarl, Voeld, Elaaden and Kadara. 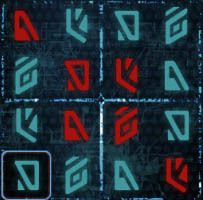 Without knowing the solution, the standard puzzle solving process involves filling the entire grid so that no column, row nor region contains a repeated symbol. 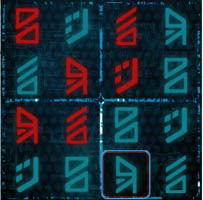 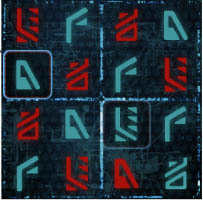 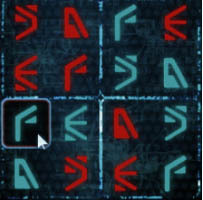 Before you can solve the puzzle you MUST scan the surrounding area to "pick up" the symbols and use them in the puzzle. 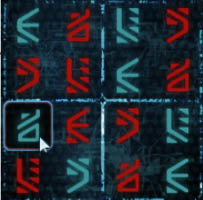 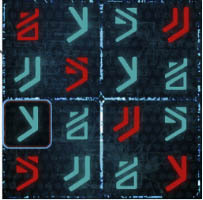 It is IMPOSSIBLE to solve the puzzle without first collecting the glyphs with your scanner. 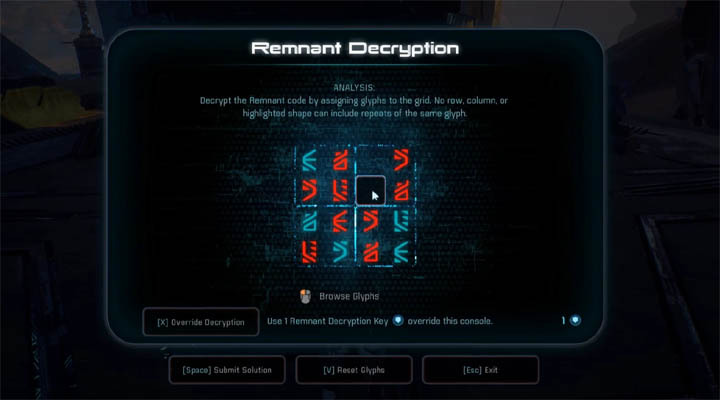 Whilst you can use Remnant Decryption Puzzle keys to instantly solve any puzzle, there aren't many of these keys so why waste them if you don't have to!? 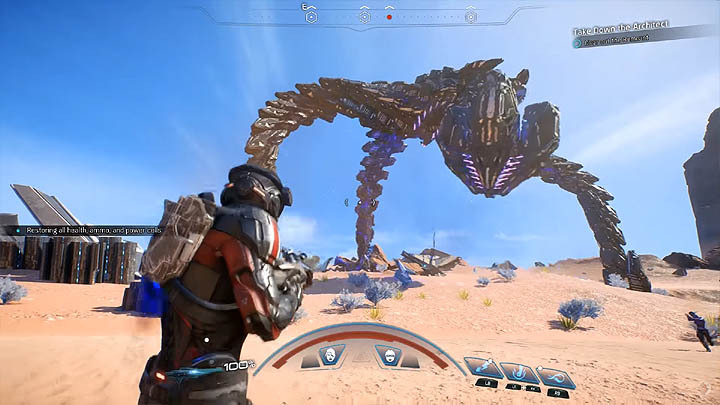 Elaaden Remnant Vault, "Taming a Desert"
Eos Monolith "A Better Beginning"
Eos Remnant Vault "A Better Beginning"
Havarl Remnant Vault "A Dying Planet"
Eos "Task: A Ghost of Promise"
Voeld, northern Monolith "Restoring a World"
Voeld, eastern Monolith "Restoring a World"
Voeld, western Monolith "Restoring a World"
Elaaden, derelict ship "Investigate Remnant Derelict"
Elaaden Remnant Monolith "Taming a Desert"
Elaaden Remnant Vault "Taming a Desert"
Kadara Remnant Monolith "Healing Kadara's Heart"
Kadara Remnant Vault "Healing Kadara's Heart"
Khi Tasari, hidden platform, below city "The Journey to Meridian"